A vintage estate jewelry piece: Jeffry Howard 18K white gold band with ornate hand-chased motif. 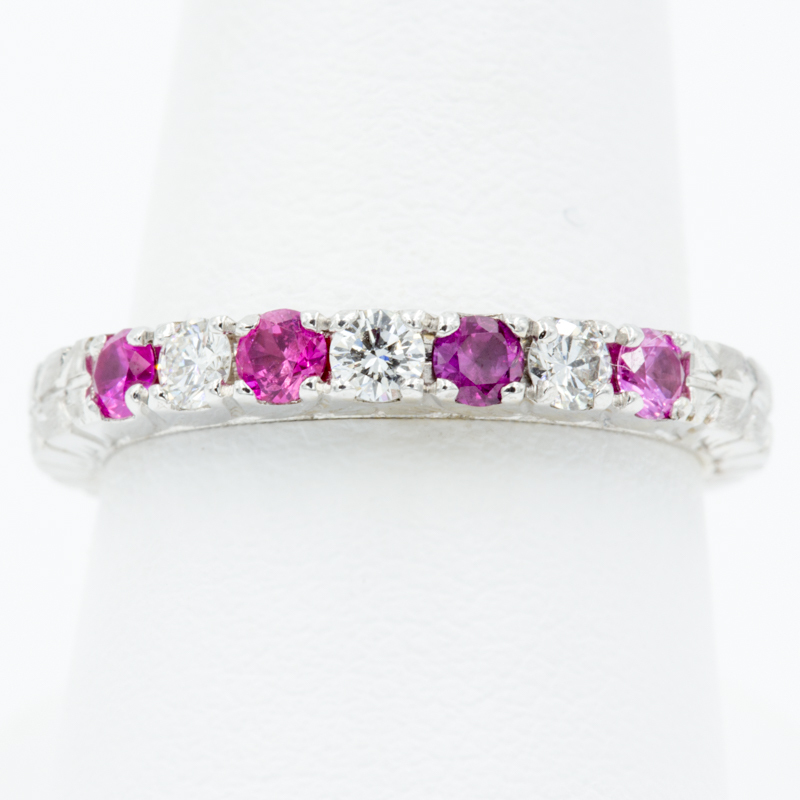 Top of ring set with 4 pink sapphires ETW 0.28ct. and 3 round full cut diamonds ETW 0.18ct.